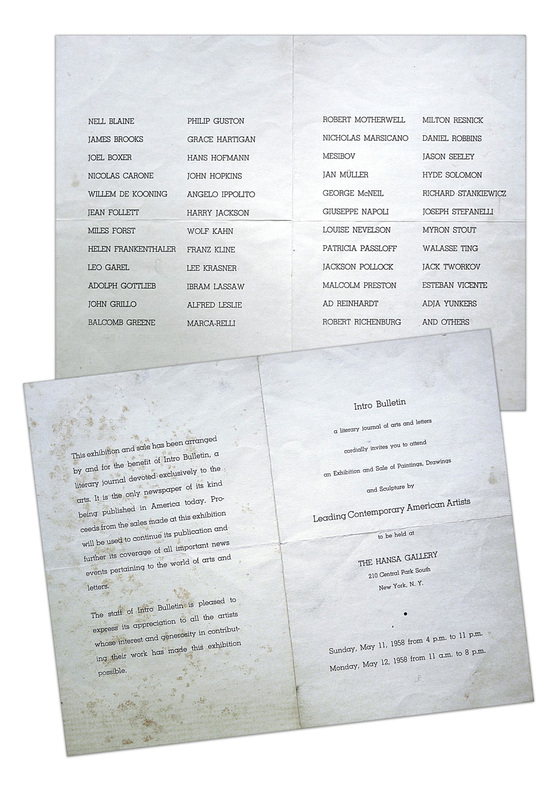 The Hansa Gallery, one of several co-op art galleries to open in downtown Manhattan in 1952, offered space to young artists to sell art on their own terms, unconstrained by the uptown dealers. For the Abstract Expressionists of the mid 1950's this was an ideal place to showcase their works. Mesibov was among the important New York Abstract Expressionists represented in this show which also included Nell Blaine, Philip Guston, Grace Hartigan, Hans Hofmann, Willem de Kooning, Wolf Kahn, Helen Frankenthaler, Franz Kline, Lee Krasner, Ibram Lassaw, Robert Motherwell, Milton Resnick, Louise Nevelson, Jackson Pollock, Ad Reinhardt and others.